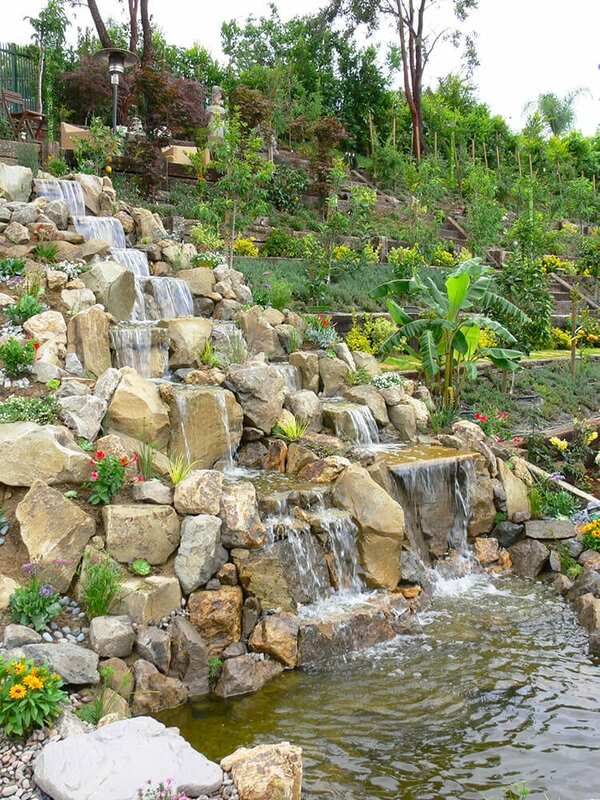 This beautiful 27’ foot long “waterfall/stream” going into a 6 x 9 pond. 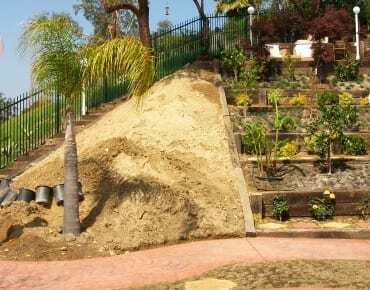 This space was an eyesore in the client’s backyard and now it is the absolute focal point! 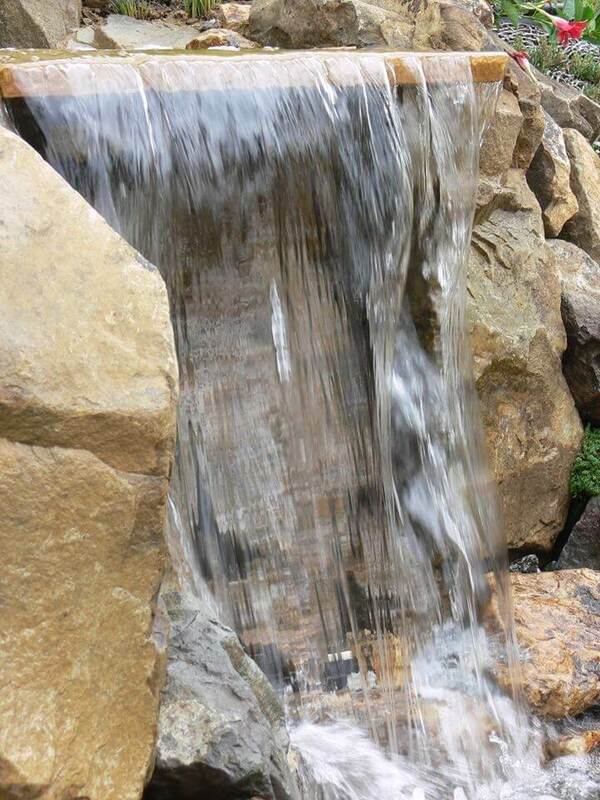 This client specifically requested free falling waterfalls staggered throughout this water feature. 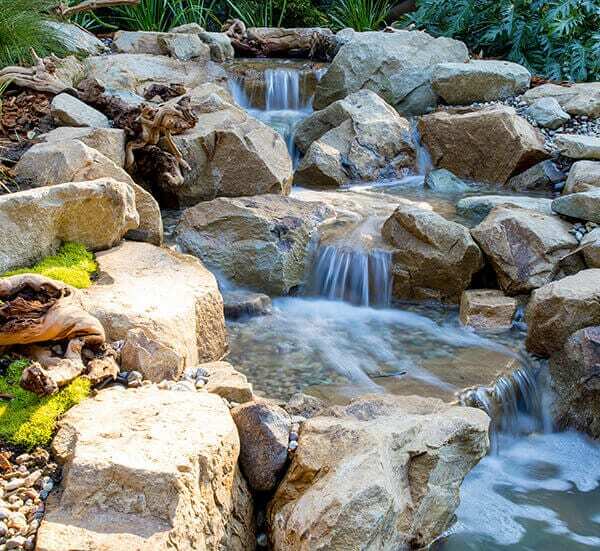 This project called for 12 tons of Laguna rock works perfectly with its angular shapes and just a few pieces of flagstone on specific falls to create a truly dramatic effect. The project was completed in 3 days and ahead of schedule! 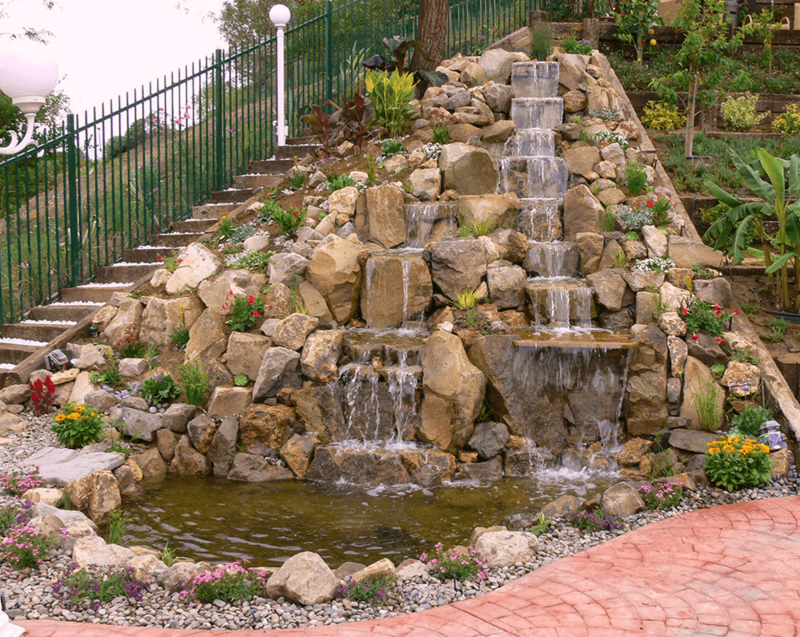 We added many lights within the water feature so that it can be enjoyed day or night. 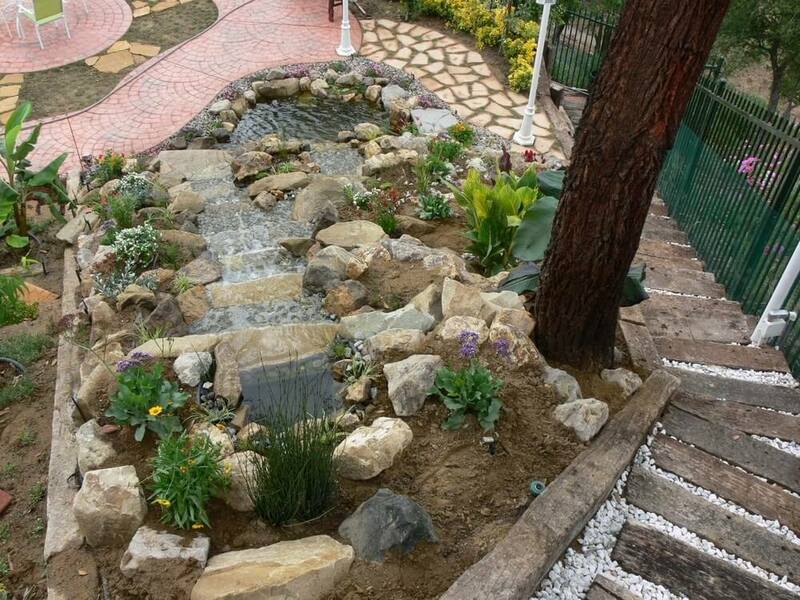 The client says that the water feature resembles a beautiful Christmas tree at night with all the falls glowing at night. They decided to bring in our team to create something beautiful that their family and friends could enjoy! 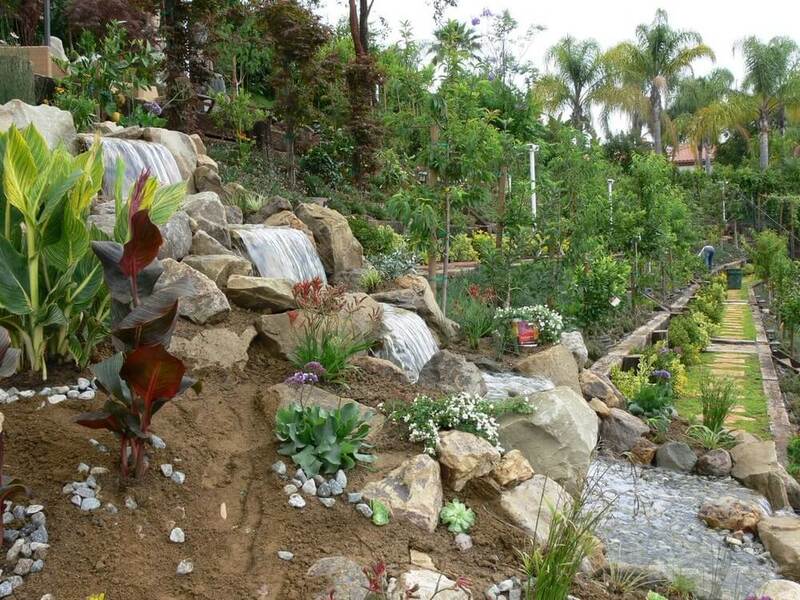 Imagining what your backyard could look like?